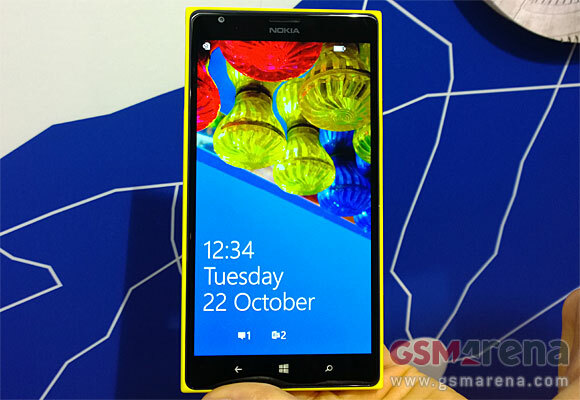 The Nokia Lumia 1520 brings several firsts for the company. This is the Finns' debut in phablets, the first WP quad-core device and the first one to rock a FullHD screen. 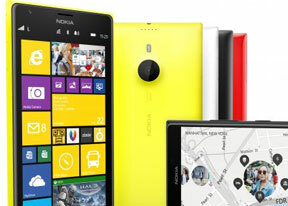 The Nokia Lumia 1520 builds upon the design philosophy of all previous Lumia flagships. It features a solid unibody construction with a colorful polycarbonate casing. The PureView camera on board, complete with optical image stabilization, promises great low-light experience, while the top-notch display should help the 1520 deliver the best Windows Phone experience around. Services and apps like Nokia Camera, Storyteller and Cinemagraph add even more value to the package. But first let's get the technicalities out of the way. The 6-inch diagonal and has FullHD (1920 x 1080 pixel) resolution, which allows for a ppi of around 368 ppi, meaning no pixels will be visible. The bigger screen estate and higher resolution result in a third column of Live Tiles being present on the Lumia 1520 start screen. The 6" ClearBlack IPS display offers low reflectivity and very wide viewing angles. It's covered with Gorilla Glass 2 for scratch resistance and can be used not only with bare fingers but also with gloves, thanks to the Super sensitive touch. Moving onto the back where one of the most interesting assets of the device lies. The 20 MP camera with OS makes great use of the Qualcomm Snapdragon 800 chipset and provides shot to shot times far shorter than those of the Lumia 1020. Stay tuned - more live photos and hands-on videos of the Nokia Lumia 1520 will be coming to the following pages very shortly.